You haven’t had a vacation in a while. Have you been putting off travel because you can’t find the time or money to make it work? Take a dental holiday (like India), and kill two birds with one stone. You can travel to a terrific destination and, while you are there, get some long-overdue dental work done in between your sightseeing and tourist escapades. No dentist nearby? You can now find extremely highly qualified dental care providers in other countries. India, for one, requires advanced certification of dentists, and there are several state-of-the-art dental clinics that can safely and professionally provide you with any dental procedure you require. No dental insurance? Having your dental care abroad often means significant savings over domestic treatments. You will find that prices in India are approximately 70% less than those available elsewhere. Need more extensive smile improvements than you thought? There are so many new technologies, particularly for dental implants, crowns, bridges, teeth whitening, and dentures, that even if you thought your smile was hopelessly crooked, gapped, or yellowed, there are now some great cosmetic dentistry procedures available. Why not take advantage of the great prices and fix up your pearly whites? Choosing dental tourism you are probably imagining a travel abroad, visiting beautiful countries, treating your teeth and enjoying your time. All of this, of course, is true, but there will be nothing pleasant if you forget to take care of some small, important things. When the decision has been made, probably the first thing you should do is to take a sheet of paper and a pen and to write everything comes to your mind about what to take with you during the trip. This brain-storming psychological method will minimize the number of things that you do need but have forgotten at home. When everything is put on paper it’s much easier to manipulate the situation, you become more convinced that you are doing the right thing. When the plan is ready, it becomes easy to notice what things should be analyzed deeper. Prices, for example, become an important topic. you’ll have to find out how much dental treatment costs, including all procedures you’ll need or you’ll want to have, as auxiliary one. Prices of flying tickets, hotel services, transportation through the visited country, probable booking apartment, food, should be well known in order to avoid unpleasant surprises. India is emerging as one of the preferred destinations for dental tourism in the world. Indian Dentistry is fast catching up as a medical tourists aim due to its affordability, accessibility and much cheaper rates. India has come up as one of the most promising countries for all sorts of medical and dental treatment for the high-class professional work at much affordable prices. The difference in charge of a Dentist from US to India is worth a thought. 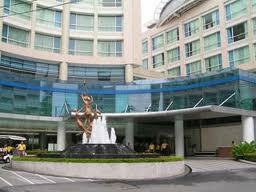 That is why India has recently become a major tourist hub of Dental Care Solutions. You can have your tooth fixed and make your holidays memorable at the same time or simply, enjoy the different hues of Mystic India and get the Dental treatments in India done without getting a hole in your pocket. Millions of people every year fly from USA, and Europe to tourist places in India for a grand holiday and DENTAL TREATMENT. Yes, its true. 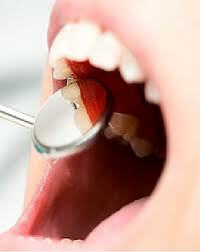 The cost of dental treatment is the western countries is approximately 7-10 times more than that in India. With these high costs people have started to club their tours with dental treatments into one, ending up by having a grand holiday almost FREE. Low Cost: Dental tourism is a great money saver. 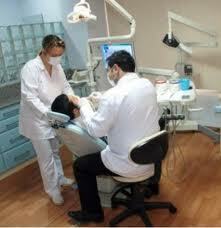 That is the biggest attraction for most to go abroad for dental treatment. The economy of all developing countries is such that all amenities like food and shelter and education and treatment charges are low there. High Quality: The fact that it is cheap does not make these dental services inferior. The doctors in developing countries are well trained and often many of them have studied and trained in western countries. Apart from this, they also possess modern equipments and state-of-the-art technology. Immediate Service: Avoidance in time delay is another attraction. Most agencies understand the importance of the problem and they are very quick in their service. Great Convenience: Comprehensive packages by agencies make sure that they take care of all aspects of an overseas dental appointment. Their comprehensive package ensures that the patient gets the necessary information and contacts immediately. Travel Opportunities: As the name dental tourism implies, those traveling abroad for dental care are combining the pleasures of a vacation with dental treatment. In most of the developing countries that dental appointments are made, boarding and lodging and traveling also come cheap. So it would be most ideal to combine dental treatment with a pleasure trip. Most of the dental care seekers turn medical care into a holiday by opting to get appointments on weekends and taking along family or friends with them. The idea of traveling outside of your country to obtain dental care, or dental tourism, is rapidly becoming very attractive option for those people who need cosmetic dentistry procedures, restorative dental care, and routine dental treatment. US and UK citizens, have been attracted to India for their dental work that is affordable at high quality. India has highly trained dental care professionals and very good dental clinics. There are many international flights to India so travelling would be not a problem. There are people from all around world who have starting considering India as one of the best places in the world to receive affordable dental care. India is the most beautiful country and largest democracy in the world. The tourist is surprised to find more than he/she comes expecting. 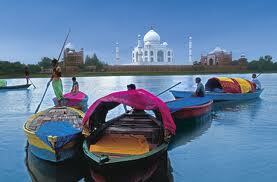 India travel is very special because India has a very rich and dynamic culture that attracts every traveler. India is like a reward to every traveler who explores this mysterious country. Bounded by the majestic Himalayan ranges in the north and edged by an endless stretch of golden beaches, India is a vivid kaleidoscope of landscapes, magnificent historical sites and royal cities, misty mountain retreats, colorful people, rich cultures and festivities. The nature and wildlife-watching tigers are best protected in India. The enjoyment is heightened with adventure activities. The camel and elephant ride makes you feel a King. The cultural quests in the country of India will open up wide-ranging options, offering an array of different architectural styles. The states of Delhi, Rajasthan, Uttar Pradesh, and Gujarat are the perfect choices in North India while Madurai, Tirupati and Chennai are the main centers of temple architecture in South India. The various fine and elaborate architectural and artistic specimens, bearing the Mughal and Hindu styles of art, are of utmost pleasure for genuine art connoisseurs. The Taj Mahal, the Red Fort, Agra Fort, the Bulund Darwaza, the Hawa Mahal etc are some of the remarkable instance of Mughal architecture. On the other hand, the Ajanta and Ellora Caves, temples of Khajuraho and Konark, Madurai and Tirupati etc are examples of Hindu architecture. The churches of Goa are again instances of Portuguese art and culture, offering a wide range of choices on a tour to India. Beaches – exotic, serene, fascinating, and tranquil – you get all kinds of beaches in India along its eastern and western coasts. Goa beaches are extremely vibrant, vivid and exotic, exuding an air of imposing vivacity. The cool breeze blowing through the swaying palms, the golden sands and the crystal clear waters will appeal to your senses. Chennai beaches are the same but the Puri beaches are more on the lines of tranquility. Make a trip of the various tourist places in India on your India tour and you will know the huge variety that the country offers, in the various forms and shapes. The cost of various dental procedures has soared in western countries. While medical treatments may be covered by some insurance companies, many foreigners find themselves without any dental treatment insurance and have no choice but to pay for their dental treatments themselves. For the millions of un-insured people, dental tourism in India are a practical option. Endodontist for root canal treatment. These are really just dentists who just do root canal therapy. Oral & maxillofacial surgeon. These are doctors, who are also dentists, and who are surgical specialists. Tour2India4Health Group has come into existence with an aim to extend their support to uninsured international patients providing the best service at an affordable price not forcing them to spend more on their treatment than they could afford.